Surfs up!!! 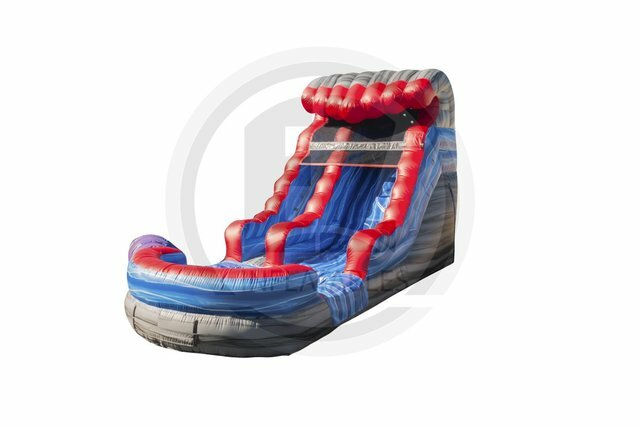 The kids will have a slip and slide kinda good time in this original blue and red water slide, features an inflatable wave bumper that the kids slide up when they finish sliding down. Recommend 3 kids at a time, one sliding, one climbing and one entering.